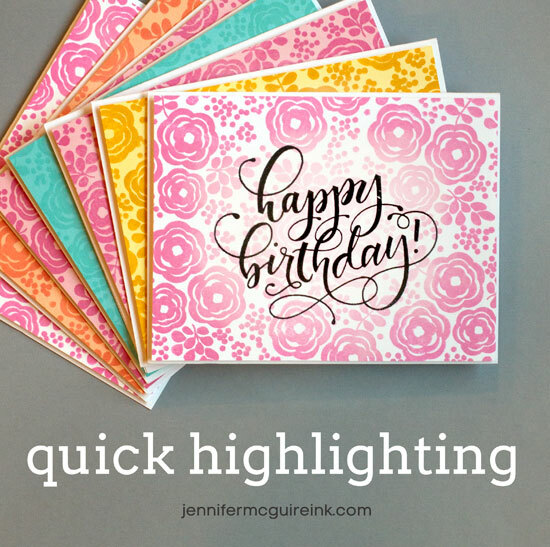 Jennifer McGuire has a super cool but super easy stamping technique on her blog. She stamped an all over background and then used white stamping ink and sponge to make a light highlighted area in the center of her card, it’s perfect for then adding a stamped sentiment in the middle. Find out more about this technique over on her blog.